Our Shop sells a wide range of pre-owned items – either being sold on behalf of our members, or donated to us. 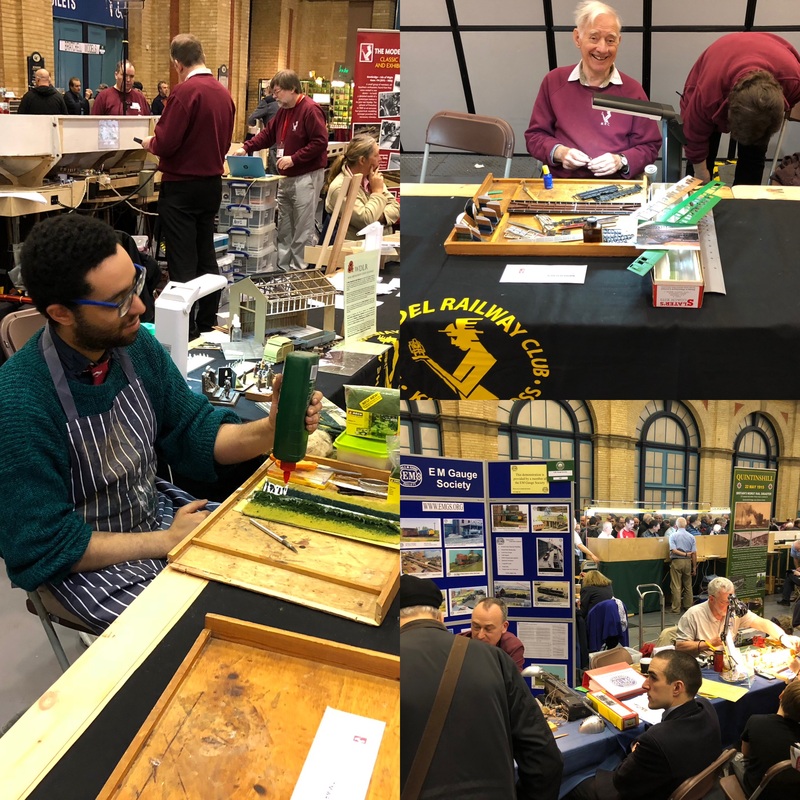 The shop is open at the London Festival of Railway Modelling in March, and at our open days / mini exhibitions at Keen House. There is also a selection on display in the Anning Hall at Keen House throughout the year. We also have a second hand bookstall, which has a wide range of rare and less rare books. This generally only trades at the London Festival of Railway Modelling. Members will receive details of how to sell items on a commission basis through the Bulletin for both books and modelling items. We don’t buy collections, but will gratefully receive donations which we can use to support modellijng, and improvements to Keen House. We are normally able to collect within the M25 within a few days. If you have a collection you would like to donate, please contact us. Every so often we put a list of newly received items on the website, and you can download it here. We’ve also got a list of magazines and books for sale, which you can dowload here. If you are interested in any of the items, please use the form to the side to indicate the item(s), and the price you would like to offer. We’ll come back and confim if the item is still available, if your offer is accepted and payment details. Other than books/magazines, postage within the UK is free on orders of £100 or more, and a flat £5 for anything less. For all books/magazines and shipping outside the UK we’ll weigh them and charge at cost of postage (packing free). Collection is free on Thursday evenings at Keen House, and by arrangement at other times.